Another infallible way to make your business grow is creating your own Facebook fan page and getting more likes and shares. A friend of the writer started out as a designer with a small shop, but became increasingly popular as she asked a friend to model for her. They put up the pictures on their Facebook page and voila- Business boomed! Another candid photographer uploaded the pictures he took, tagged the people in it on the business page and got 10,000+ likes and great business! There are many such ways to creatively advertise your products on the social network. First of all, create an attractive Facebook fan page. Make it colorful by adding great pics and include specifics to grab attention. Write about the product/service you are selling. Add specifications and detail, but don’t make it too long! This may annoy your friends, but you can’t say how many will LIKE your page. Even if 10% of your friends like it, chances are, you may get at least 100 likes (considering you have 1000 friends). Not only your Facebook friends, invite other friends (fellow bloggers, work colleagues) by mail. This will help you get your first friends. 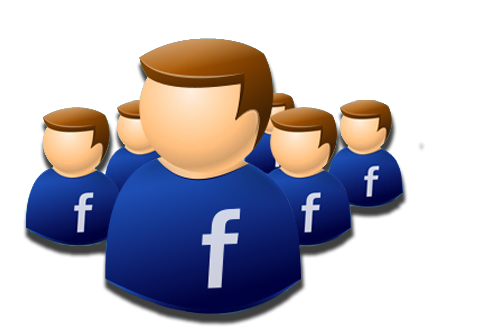 If you have a popular friend, request them to suggest your page to their friends. This will definitely do. Strategically place “LIKE” and “SHARE” buttons on your blog where your page is described. You can use articles or photos to encourage your blog readers to like/share your page. Use colorful pictures often and change the profile photo every now and then. That again, appears on the fans’ newsfeed, encouraging them to like or share. Use all opportunities to advertise for free on your page. Ensure that you are associated with your brand and vice-versa. Use signatures that contain links to your fan page. Advertise shamelessly on your blog, but practice caution. People don’t like over-enthusiastic people trying to spam them. If you come off as an honest and sincere person, your business will thrive.